A fumble at the one. An interception in the end zone. The questionable decision to settle for kicking a 53-yard field goal in overtime. 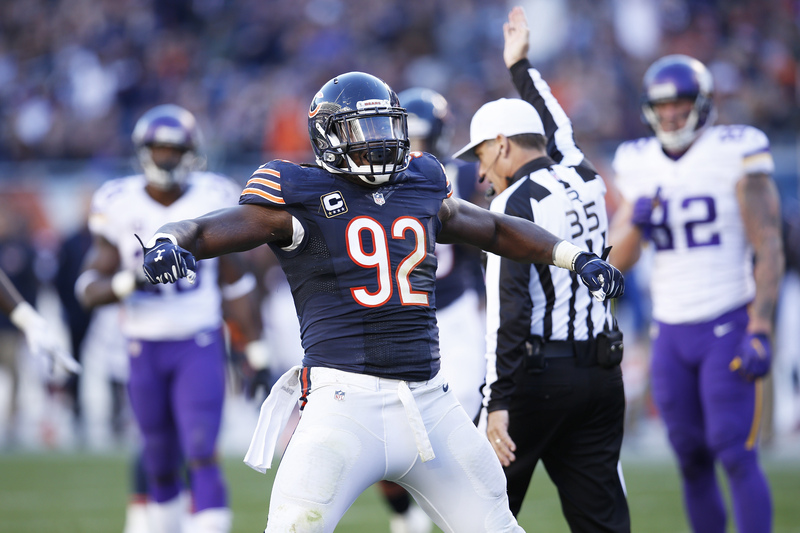 None of it would have mattered if the Bears’ much-celebrated defense had done its part. Just about everybody who had watched this Bears defense was quick to crown them as a great unit. Some went as far as to compare them to historic units of years past. But a collapse against one of the worst offenses in the league certainly raises questions, especially because it isn’t the first time it has happened. It’s easy to blame the heat, but that would lead one to believe the Dolphins — and likely the Jaguars and Buccaneers — are unbeatable in their element. That isn’t reality. And, if we’re blaming heat for this collapse, what do we blame for the collapse against a gimpy Aaron Rodgers in Green Bay on Sept. 9? This isn’t to minimize the impact the heat had on the Bears players. It’s certainly conceivable that it slowed them down late. But they still should’ve been good enough to overcome it against Brock Osweiler. The DBB team is evaluating the entire organization at this well-placed, exactly midseason bye week. The catch? Each of us is limited to ONE SENTENCE for each position group. Today we move on to the defense. Jeff: Impossible to say a negative word about this group, with Goldman arguably the league’s best run-stuffing interior lineman and Hicks mounting a serious campaign for Defensive Player of the Year. Andrew: Hicks and Goldman are studs, Unrein is solid and Bullard and Robertson-Harris have both shown flashes. 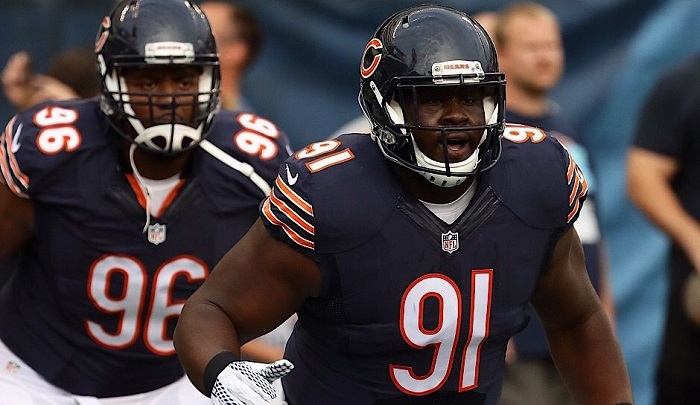 Data: Akiem Hicks and Eddie Goldman might be the best interior DL combo in the NFL. Andrew: Danny Trevathan is having a career year and young inside backers also making an impact. Data: Chicago has gotten a surprisingly high level of play out of this group considering they’ve had to rotate through 5 different bodies here due to injuries and suspensions. Jeff: Bears ask their outside backers to do a lot, including extensive coverage duties, but this group will always be judged by their ability to get to the quarterback and they’re getting there to the tune of 11 sacks. Another guest column from the artist known as Data. Every offseason (and throughout most seasons) there’s a lot of talk amongst Bears fans about whether or not the Bears can win with Jay Cutler as their quarterback. Today I’m going to attempt to answer that question by looking at Cutler’s peers around the league. I identified five players who are, statistically speaking, Cutler’s peers: Carson Palmer, Matthew Stafford, Eli Manning, Joe Flacco, and Alex Smith. Including Cutler, these six quarterbacks all have started at least 90 games, thrown at least 3500 passes, and posted passer ratings between 83.5 and 88.1. Basically, they’ve all been around for a while performing, as a whole, at an average to above average level. Cutler is smack dab in the middle of the group with 134 starts (3rd), 4354 passes (3rd), and an 86.0 passer rating (2nd). “QB’s are over-paid, over-rated, pompous bastards and must be punished.”-Buddy Ryan. For the first time in a number of years, the Bears have a chance to have the kind of defense that would make Buddy Ryan proud. They finally have a number of players who can, and should, get to the quarterback. The Bears’ sack totals since they stopped running Ryan’s defense are a bit depressing. They’ve finished last in the league in sacks more than they’ve finished first and haven’t topped 50 sacks in a season since 1987. This year, however, they have a legitimate chance to top that mark and punish opposing quarterbacks. Every position on the 2015 Chicago Bears analyzed and available for you to download, print and read while you’re on the train or taking a dump! What more can you ask during these cold times? Just click the link below. Everything will open for you in a new window. The Bears have one of the best defensive coordinators in the league, but he alone won’t make the defense respectable. 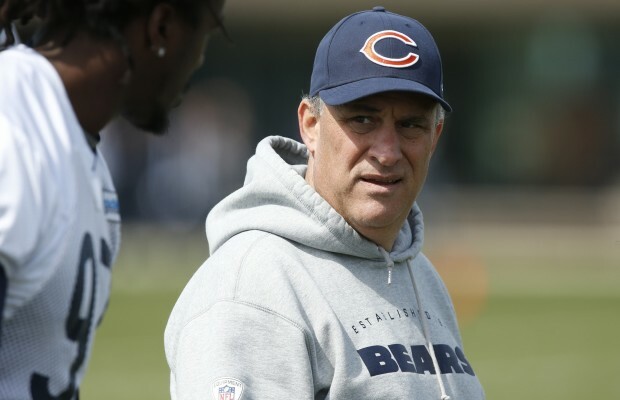 No team upgraded any position more than the Bears did by replacing Mel Tucker with Vic Fangio. Tucker is one of the worst defensive coordinators in the history of the league and Fangio is pretty good. That’s a huge jump, but it might be the only jump they made. You could argue that the team’s talent level is about the same as it was the last two years. 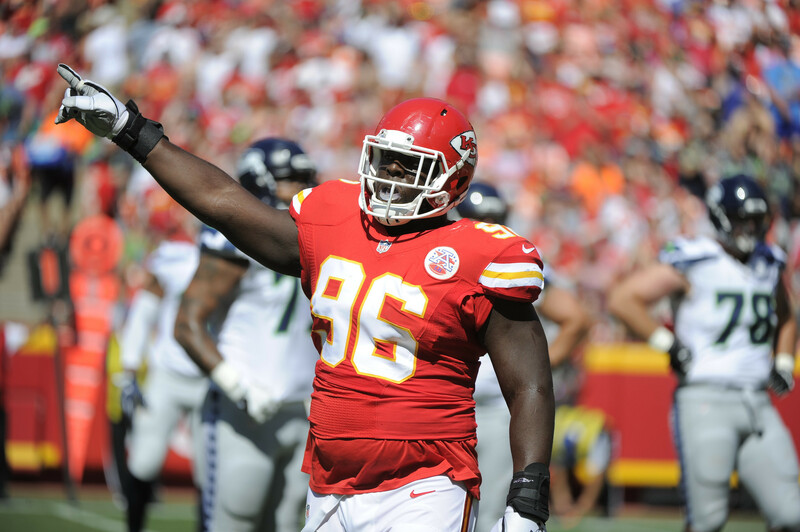 Yes, they added Pernell McPhee to pressure the quarterback, but they also lost Stephen Paea (six sacks) and it would be a surprise if Willie Young had anywhere near the same impact he had a year ago, registering ten sacks. Is that a net positive for the Bears? The secondary is still a disaster. NFL fans have the patience of my orange boy cat (named Bear, pictured above) once he knows his wet food has been moved from the can to the plate. There’s a lot of walking in circles. His sweet-tempered meow morphs into a more desperate, restless MEOORRRRE. He is so hungry for a taste of what he knows is so close he is unable to control himself. Telling an NFL fan training camp and the preseason are meaningless is the equivalent of placing Bear’s plate on the ground and then holding him ten feet away. Telling them what I’m about to tell them, that 2014 is but a stepping stone to the mountaintop, will elicit more than a MEOORRRRE. It’ll end with my blogging hands scratched until blood is drawn. 2013’s edition of the Chicago Bears established a new direction under the leadership of Marc Trestman and excommunicated the old direction (Lovie) and leadership (Urlacher). It was only an 8-8 campaign but for a fan base desperate for big league offense it left even the most pessimistic fan with a firm understanding the arrow is pointed in the correct direction. The innocent climb is the surge that occurs within a team as they are accomplishing more because of the synergy that occurs within a team. Innocence means understanding that the team comes first and being carried along by that; being naive means being ignorant. Innocence doesn’t mean being naive. Teamwork and all of its benefits happen when everyone puts the team first. innocence comes when the leader believes in something and puts him or herself out to accomplish that. Climbing innocently began with the establishment of this new direction and the building of a new identity. But something funny happened on the way to Soldier Field. Trestman and Emery were successful at a more rapid rate than expected and produced a championship-caliber offense in the first year of this new program.